Casablanca, Breakfast at Tiffany’s, Say Anything, Pretty Woman, An Affair to Remember, Sixteen Candles, The Princess Bride, and more. Vermont Stage's newest experiment called All You Need is 'Dub' is a special One-Night Only Event which will take place at the Vermont Comedy Club located at 101 Main Street in Burlington (in the old Armory Building). 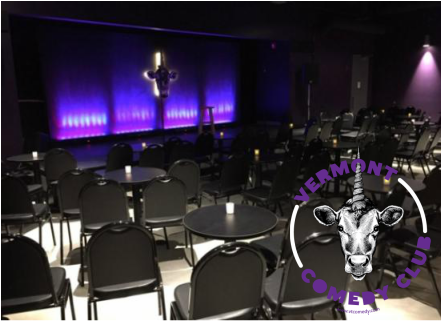 Vermont Comedy Club has cabaret style seating with a full bar and hors d'oeuvres for sale during the show. The Bar opens at 5pm, the house opens at 6:30pm, the show starts at 7pm.